TCD is committed to Health and Safety. We take our responsibility to the Health and Safety of our staff, our clients and all visitors the only way we can – seriously. We have unique systems to incorporate safety and processes that allow us to succeed safely and compliantly – where others may not. 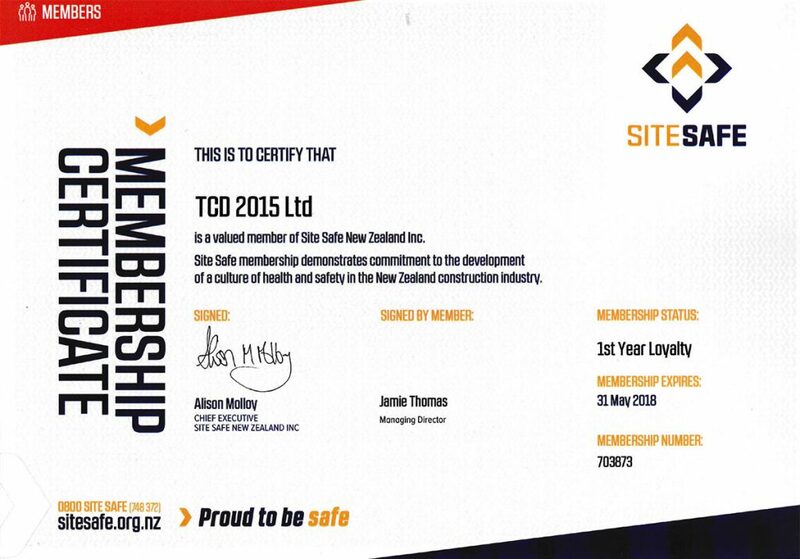 Company and management are members of “Site Safe”. TCD Limited has set at the benchmark within the drilling industry. Our drilling standards and adherence to compliance are second to none. All projects, whether it be water, geothermal or oil and gas, have the same level of professionalism and commitment to health and safety. We pride ourselves on our ability to incorporate our processes to all aspects of drilling. We have comprehensive Health, Safety and Environmental systems which are second to none. We provide all our staff the opportunity to share their ideas and experience which offers a unique perspective toward Health and Safety.